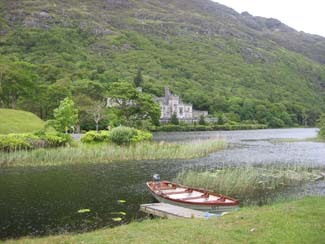 With a loughside setting under the wooded lee of the Twelve Bens in Connemara, Kylemore looks for all the world like a moody Victorian painting and the 19th century castle has a story to match. Built as a romantic indulgence by Liverpool merchant Mitchell Henry for his wife Margaret, the spell was broken when she died less than a decade later. 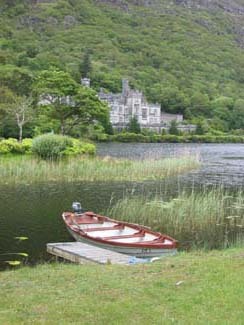 The castle and ambitious demesne was then owned by the Duke of Manchester before the Irish Benedictine nuns returned from Ypres and opened a school there after World War I. 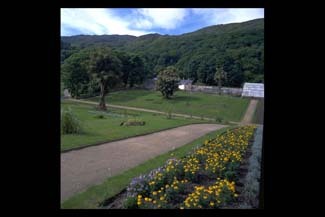 The 6 acre walled gardens, which originally took three years to complete, have now been restored with help from the Great Gardens Restoration Programme, the European Regional Development Fund and work by FAS. Photographs from the historic Lawrence Collection were used as reference. 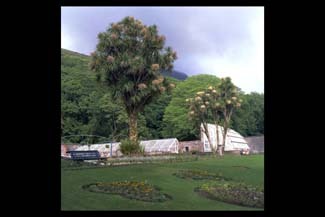 Planting with carpet bedding, cordyline palms and a ring of floral arches - shows how much fashions in gardening have changed. 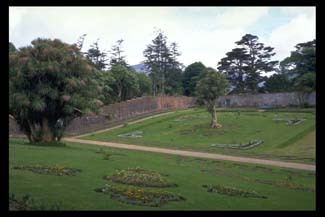 The garden is divided in two with a stream and woodland garden and a double herbaceous border to shield the gentry in the formal garden from views of the vegetable garden. There were originally 18 glasshouses and a bothy house for the garden boys, who had to ensure the boilers remained lit, and the East Vinery has been restored. 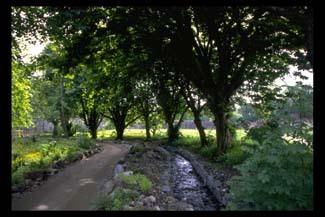 With woodland walks, the dramatic backdrop of Diamond Hill, a miniature Gothic cathedral, a shop and museum, there is plenty for the family to see and do - not surprisingly, it can be very busy in summer. 2 miles from Letterfrack, on the N59 from Galway.